You will find ways to deal with your own difficulties while reading the 27 real workplace stories of WOW-Empowered women and over 42 resiliency strengthening strategies. Examples of the 42 strategies include how to make an assertive statement, how to filter criticism, how to ease conflict, how to say an effective no and how to self-promote. If you are facing a challenging situation there will be a strategy for you. Want to learn more? Take a look at the Reviews Tab. 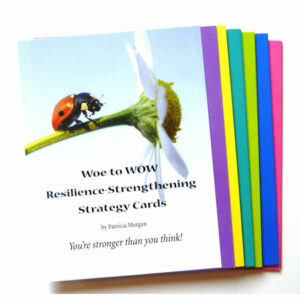 From Woe to WOW is a wonderful, practical, inspirational tool for women and all those who support them! 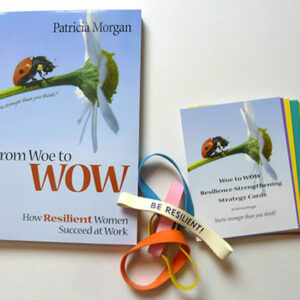 Right from the Introduction through the comprehensive list of resources at the end, Woe to WOW kept me fully engaged – I read it from cover to cover on a cross-country flight. With stories of real women sprinkled throughout, supported by a seamless integration of factual research and insights from the author’s own rich life experiences, this book provides tips and strategies for turning life’s biggest challenges into opportunities to shine. 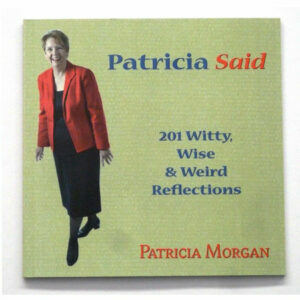 Patricia doesn’t sugar-coat the stories – in some she definitely shares the ugly side of life but without wallowing in misery. Readers will be inspired by the creative ways that women bounced back from traumatic experiences and will learn how significant others such as employers, friends, and family members can become more supportive during challenging times. I’ll be recommending this book to my colleagues, counseling students, and clients, as well as my daughters and sisters-in-law. Patricia has done an amazing job of sharing stories of challenge to inspire women to be the best they can be. Women of all ages, cultures, and backgrounds will find stories that resonate – this is a must-have resource. Dr. Roberta Neault, award-winning specialist in career/life management, counselor-educator, keynote speaker, and author of Career Strategies for a Lifetime of Success and That Elusive Work-Life Balance. 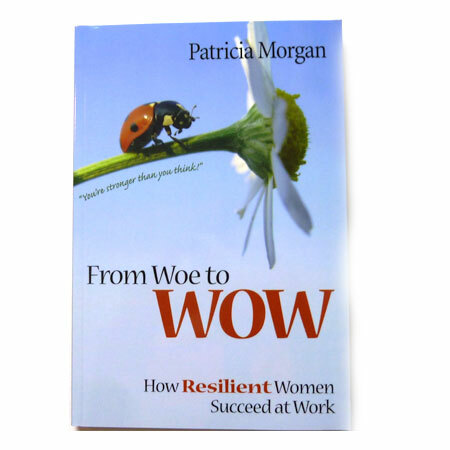 The perfect author to write this book: Patricia draws on per personal life experience and expertise in the field of human resiliency. The result is a resiliency program that covers emotional processes, inner complexities and relationship dynamics.